A Saudi Aramco employee sits in the area of its stand at the Middle East Petrotech 2016, an exhibition and conference for the refining and petrochemical industries, in Manama, Bahrain, September 27, 2016. Saudi Arabia and four other Gulf states could receive between $30 billion and $60 billion of inflows to their bond markets by the end of September 2019 due to their inclusion in JPMorgan’s emerging market government bond indexes, asset manager SICO said on Oct. 9, 2018. Debt from Saudi Arabia, Qatar, the United Arab Emirates, Bahrain and Kuwait would represent 11.2 percent of the index, SICO said. Saudi Aramco is set to raise $12 billion in its first international bond issue after receiving more than $100 billion in orders, Reuters reported on April 9. The issue, split into maturities ranging from three to 30 years, saw the oil company tighten its price guidance, Reuters reported. 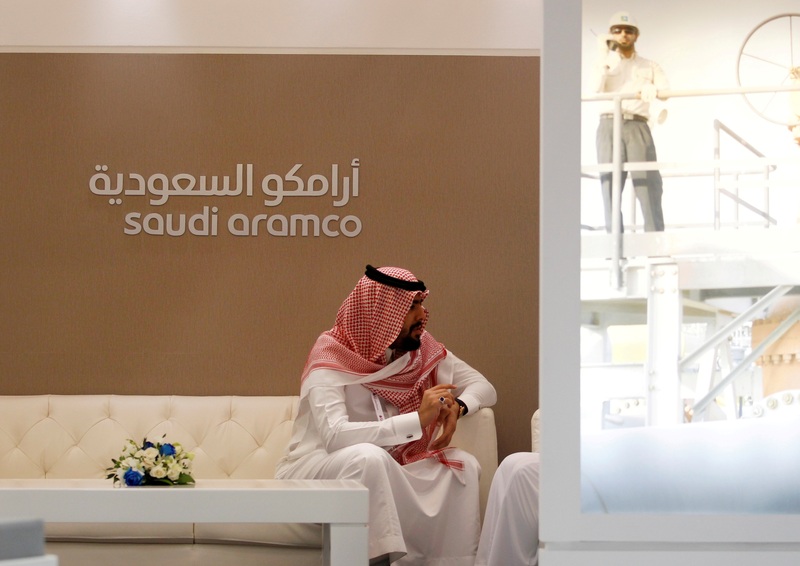 Aramco on April 9 sold a $1 billion three-year tranche offering investors 55 basis points (bps) over U.S. Treasuries, a $2 billion five-year tranche at 75 bps over the benchmark, a $3 billion 10-year tranche at 105 bps, $3 billion in 20-year notes at 140 bps and $3 billion in 30-year bonds at 155 bps, a document issued by one of the banks leading the deal showed.